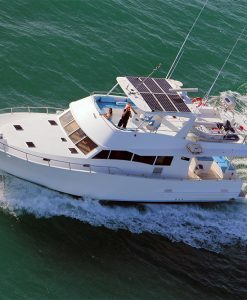 Port Douglas Reef Charters specialise in all types of fishing tours in Port Douglas. 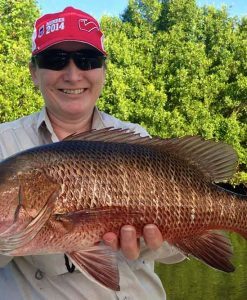 Heavy tackle game, reef day trips, sport fishing tours in Port Douglas and the Daintree River and surrounds, estuary fishing and live aboard fishing charters in Port Douglas Queensland Australia. There are a myriad of different vessels in Port Douglas, the choice of boats can be somewhat confusing to say the least! 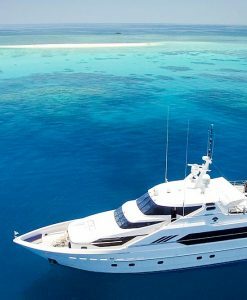 Let Port Douglas Reef Charters take all the stress out of making a tough decision, we know all the skippers and deckhands personally, we deal with all the reef and heavy tackle angling vessels on a regular basis. With 18 years local Port Douglas reef experience we can help you choose a boat that’s exactly right for your angling needs. 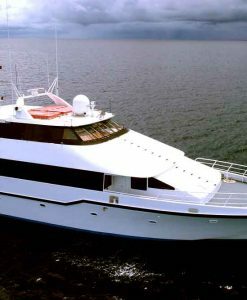 Port Douglas Reef Charters has a wide variety of vessels to suit every budget. 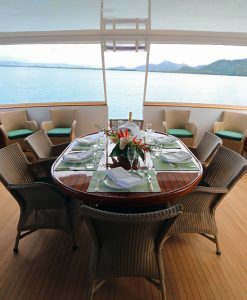 Perhaps the ultimate reef experience is to get a group together and do a liveaboard charter from Port Douglas. 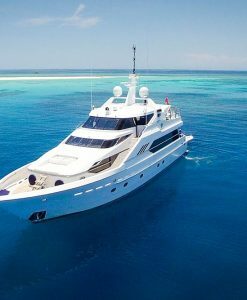 If you charter a boat for a few days you can employ all sorts of methods and have the ultimate Great Barrier Reef adventure. 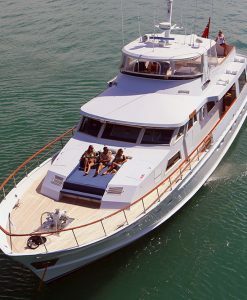 Live aboard charters allow you to do light tackle sportfishing with poppers and lures, night fishing for delicious reef fish, and depending on the duration of your liveaboard tour, you can also do some spearfishing, coastal sportfishing and fish from dories using your charter boat as a mothership. Most of the Port Douglas Reef boats use hand lines, just like the commercial live trout fishermen do. 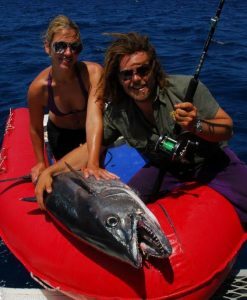 Some of the local Port Douglas Reef boats also allow you the option of using rods, and float pilchards out off the back marlin board for larger pelagic sports fish. 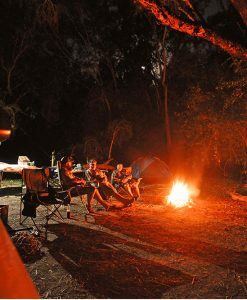 The day rate usually includes lunch, all bait and equipment, tackle and transfers from your accommodation in Port Douglas to the marina on the date of your tour. The only extra to pay on board is Reef Tax and any soft drinks or alcoholic beverages you consume. The day boats will gut and bag your fish for you to take home and enjoy on your BBQ. 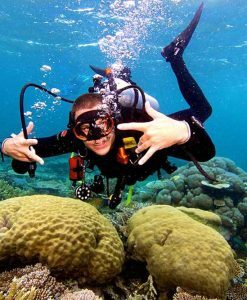 A day tour on the Great Barrier Reef from Port Douglas is usually always a full day as it takes most of the fishing boats 1.5 hours to get out to the reef. Reef Fishing for the prized Coral trout or Red Emperor is easily possible on a share fishing charter basis. Port Douglas Estuary fishing can also be arranged and the estuary in Port Douglas is surprisingly productive. The local estuary in Port Douglas is home to the prized Barramundi, Mangrove Jack, Tarpon, Queenfish and a multitude of other fish. For best results the local operators use live bait. Most of the best estuary fishing tours are catch and release. 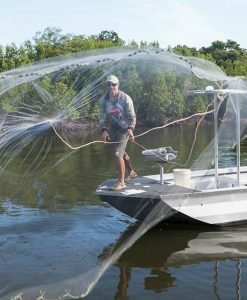 The estuary tours are generally a half day tour and cost around $130 per person for all bait, tackle and transfers from your hotel in Port Douglas to the departure point. 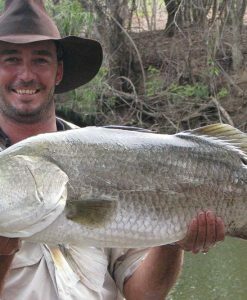 Half day estuary fishing is a good option for those anglers that have a limited budget or limited time in Port Douglas. Morning and afternoon estuary tours are available and most of the tours take small groups of 6 anglers. These estuary tours are great for experienced and novice anglers alike. 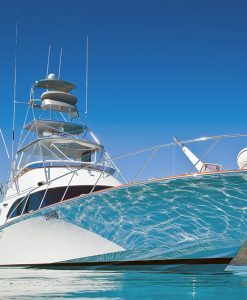 In Port Douglas, a private fishing charter is the best option. In regards to light tackle fishing, the targeted species can include Spanish Mackerel, Tuna, Mahi Mahi, Wahoo, and even Sailfish, if you are lucky! 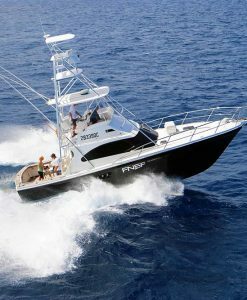 A sole charter of a light tackle boat also allows you to fish all day. These reef boats are usually quite fast so that they can get you out to the reef quickly, thereby maximizing your time on the Great Barrier Reef. 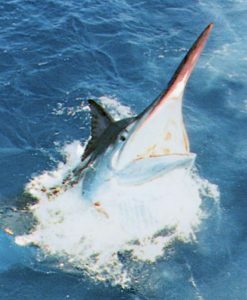 For the Port Douglas Marlin season on the Great Barrier Reef, which generally runs from October to March, there are a few excellent game boats that operate out of Port Douglas. 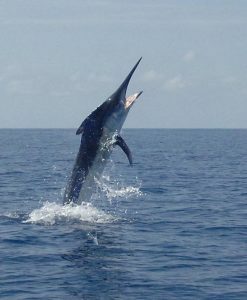 Heavy tackle for Marlin and Sailfish out of Port Douglas usually involves a higher charter rate due to the fact that the game charter boats use a great deal of diesel to get out to the Marlin Grounds. Be aware that a number of these heavy tackle marlin boats book out up to a year in advance for peak times when the Lizard Island Game Fishing Tournament is on. 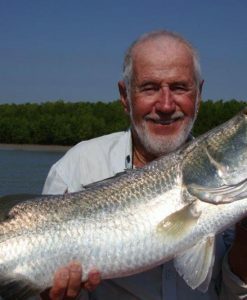 Port Douglas Reef Charters has a number of Game Fishing industry contacts, so if you make a last minute decision, we may be able to help you find a game fishing charter boat in Port Douglas when other agents can’t. For information on Estuary Fishing please contact us.